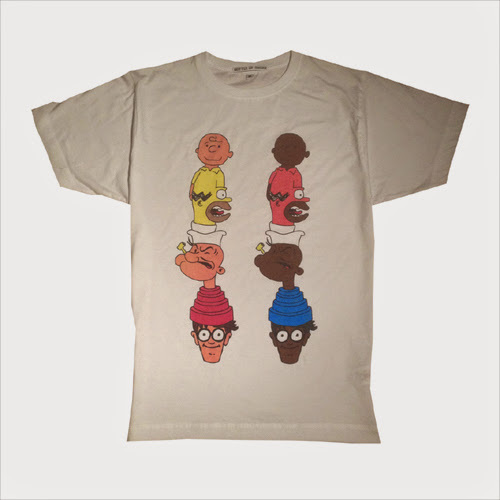 The stupidly brilliant Bottle Of Smoke have a new animation-inspired T-shirt! 'Noveltee' features a cartoonish totem comprised of Charlie Brown, Homer Simpson, Popeye and a Devo-hatted Where's Wally... with the illustration being dubbed CHARLIEBROMERSIMPOPEYEDEVOWALLY! The film follows the daily exploits of Alex the Cat who slowly starts to sprout thorns, much like the cacti he sells, as he falls victim to other peoples criticisms, and struggles to find happiness in his life. EMCA graduate Marine Laclotte has unveiled her excellent graduation short 'FrancK Krabi.
" Franck live at the edge of the water, he is alone, very alone, he has only one thing in mind: crabs, Krabis as he calls them. He lives only for them, the friendship he is convinced he has with them... Thanks to them, Franck is Happy!" Hannes Elltorp and Johannes Helgelin, aka HannesJohannes, are a Swedish directing duo with a taste for the bizarre and spontaneous! Their wild illustrative style, rife with insane detail, gloopy monsters, magic mushrooms and pizza, translates wonderfully into their various animated projects. The lasted HannesJohannes animation is a new music video for Foster The People and the track 'Pseudologia Fantastica', taken from their new album 'Supermodel'... It's uh-mazing! Unsigned synth-pop band KITTYGATO have unveiled an animated music video to accompany their track 'I Don't Know (What To Do With You)', the first single taken from their debut mini-album, titled 'BREEZE'. Ivan Ehlers, of the band, also took it upon himself to direct, animate and even star as the videos drunken protagonist, who has to fist-fight his way through a surreal, drug-fueled, monster infested night out! Every one of Peter Millard's wonderful animated shorts is jam-packed with child-like playfulness and charm. His latest, titled 'Sun Elephant', is like a sunbeam of insane joy! 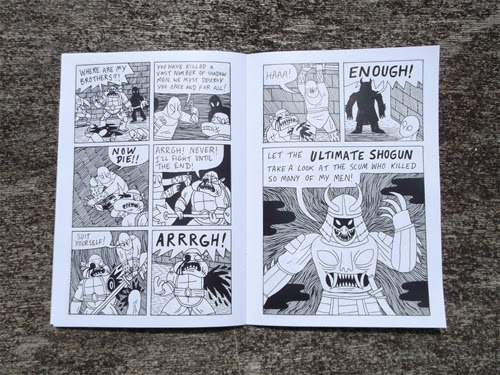 Murray Somerville is an illustrator, comic artist and co-creator of the 'Melon Shrub' 'zine. 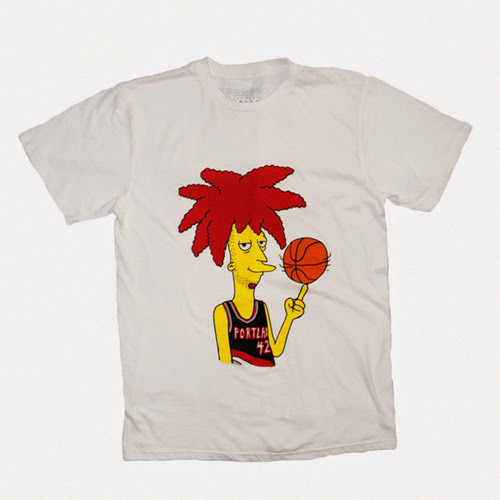 He periodically publishes bootleg 'Simpsons' comic-strips online. 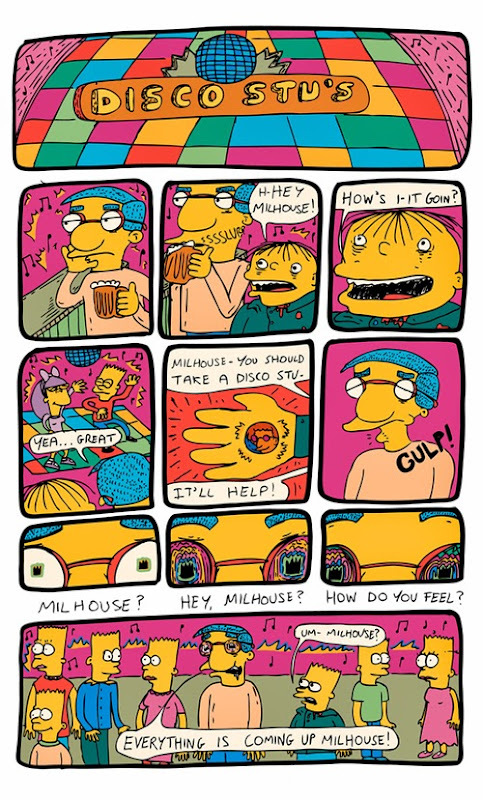 The series predominantly features Milhouse Van Houten (Murray's favourite character,) and his unhealthy infatuation with Bart Simpson! Beth Chesser, Digital Music and Sound Art's Graduate from the University of Brighton, was determined to create a moving image short for her final degree piece. Stylistically inspired by, German film-maker and pioneer of silhouette animation, Lotte Reiniger, Chesser wanted the development of the music and accompanying visuals to influence one-another, in the hope of creating a more homogeneous whole. The resulting mixed-media animation, titled 'Enso', explores the cyclical nature of life off-set against current environmental concerns and their potential impact on natures biological rhythm. Federico Gutierrez directed and animated this wonderful music video for the track 'Perfect World' by Broken Bells. 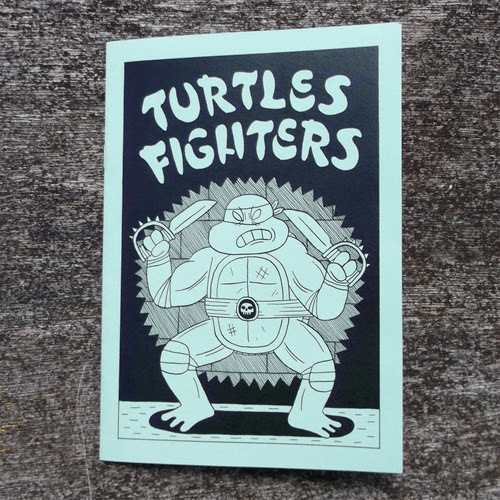 At the recent ELCAF 2014 event, Jack Teagle unveiled a plethora of new publications, including this 'Teenage Mutant Hero Turtles' inspired 'Turtles Fighters' 'zine. 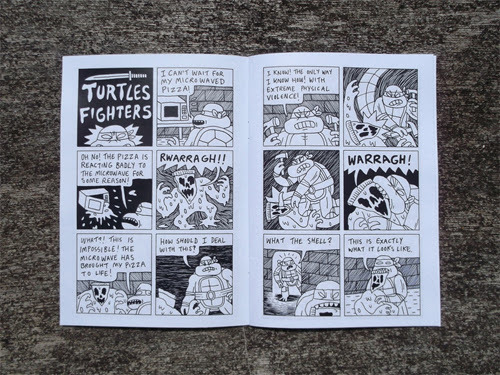 The 'zine includes 'Turtles Fighters' 1 and 2, previously released a 4-page/A3-poster comics, alongside 16 pages of previously unpublished, explicitly violent, testudine adventures! Japanese animator Hajime Kimura has released her graduation film 'Sun Rise & Set' online for us all to enjoy! 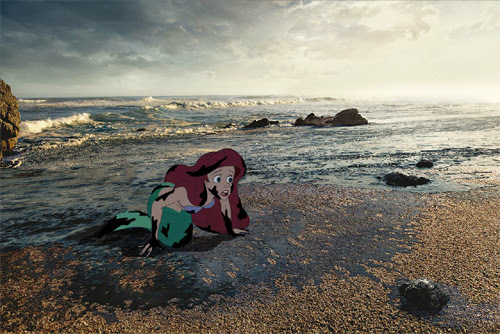 The film seems to be comprised of two distinct animated shorts sandwiched together... A dream sequence, which was originally pitched as an animated short titled 'Buoyant', sees a young boy fantasize about swimming through the nights sky with his pet goldfish, ending with the dawn. The second sequence, subtitled 'Fade', sees a cyclist pursue an errant red scarf though the city streets until it drifts out to sea, joining the rays of the setting sun. 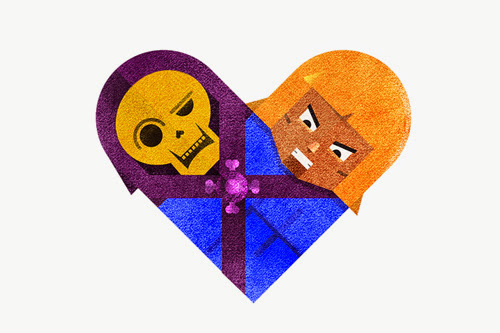 Parquerama Studios is the amorphous and colourful collaborative result of Argentinian animators Matias Vigliano & Dante Zaballa. Their latest schizophrenic animated short, 'Big Bang Dog', features the usual blend of zany colours, messy hand-drawn lines, flickering textures and unbridled playfulness. Russian illustrator and storyboard artist Ilya Kuvshinov (now based in Japan) composes beautiful portraits of pop culture heroines. 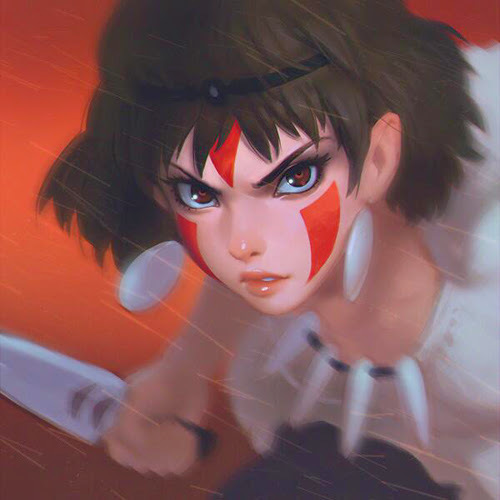 Recently, with his own animation project currently in progress, he has turned his attention to re-interpreting Hayao Miyazaki's fiercest female protagonist. Watch the teaser trailer for Ana Stefaniak's RCA graduation short 'I May Be Some Time...'. Watch the teaser trailer for Stephen McNally's RCA graduation short 'Meanwhile'. Watch the teaser trailer for Sarina Nihei's RCA graduation short 'Small People With Hats'. "There are small people wearing hats in the society." Watch the teaser trailer for Isaac Holland's RCA graduation short 'La Petite Maison'. 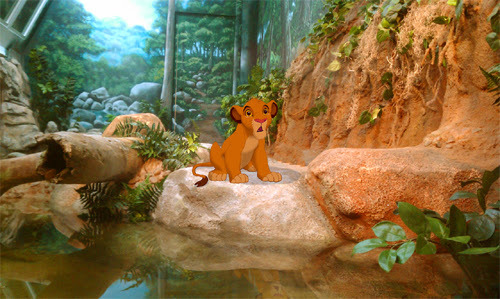 "He waited longer than expected for his medium sized Chinese medicine balls." Watch the teaser trailer for Jesse Collett's RCA graduation short 'Boom Is Life'. Watch the teaser trailer for Sophie Koko Gate's RCA graduation short 'Half Wet'. Watch the teaser trailer for Joe Bichard's RCA graduation short 'The Waldgeist & Me'. Watch the teaser trailer for Nicolas Ménard's RCA graduation short 'Loop Ring Chop Drink'. "The mundane story of a heartbroken man, an online gambling addict, an alcoholic kleptomaniac and an anxious loner living in the same apartment building." Katie Armstong's magnificent inky animated short 'Interlude' compiles various instances of pensive reflection, meditative moments and lazy relaxation in sublime hand-drawn glory! French animation studio CRCR were given the opportunity to animate a whole sequence for "The Kids", the first episode of 'The Amazing World Of Gumball' season 3, and it effing amazing! Nicos Livesey and Tom Bunker took inspiration from denim-clad fans and their band patches in the conception of the all-embroidered music video for heavy metal group Throne, and their new track 'Tharsis Sleeps'. With the support of Channel 4's Random Acts, Dazed Digital, Harry Hill as an Executive Prooducer, endless Kickstarter backing and a hand-full of digital sewing machines, the world's first frame-by-frame embroidered music video was brought into glorious existence! The seven month stop-motion project saw the creation of approximately 3000 individualy sewn frames, each one a work of art in its own right. The frames are currently being exhibited at the Cob Gallery, London. "Following the lyrics and concept of the song 'Tharsis Sleeps' we journey with the band on a mission to terraform Mars and make it habitable for human existence. Tharsis is a volcanic region on Mars that is home to some of the largest volcanoes in the solar system. Terra forming is the theoretical process of deliberately modifying a planets atmosphere, temperature, surface topography or ecology to be similar to the biosphere of Earth to make if habitable by Earth-like life. By dropping a nuclear bomb into Mars' volcano Tholus, Throne aim to erupt all the volcanoes on the red planet thus heating up the atmosphere and rising the icy seas that lie beneath it's surface. Making Mars habitable and saving the human race from imminent self-destruction on their home planet, Earth. 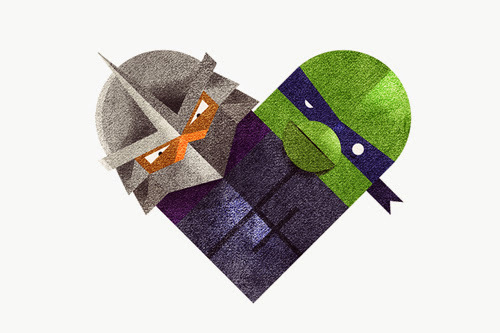 Dan Matutina amalgamates sworn enemies from pop-culture into a united heart-shaped whole. 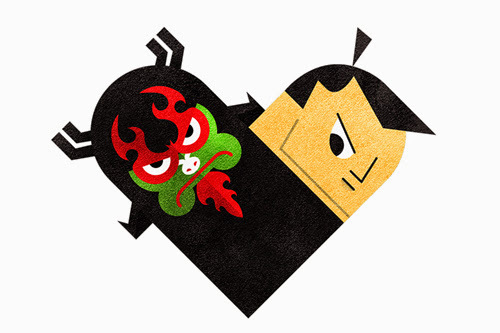 The series of illustrations, titled 'Versus/Hearts', sees many iconic cartoon rivals brought together, including Tom & Jerry, Samurai Jack & Aku, Leonardo & Shredder, and even He-Man & Skeletor! Ying Ping Mak's 2013 RCA grad film is final up online, and it's a corker! "An account of events when Yeuk Seng slowly grasps the fact that he has become a social outcast as a breathing person. Refusing to give in, he is now struggling to live in a city that he does not belong to anymore." Fives is an It's Nice That & INT Works collaborative project celebrating the most memorable moments in World Cup history in five second clips. These moments have been selected, interpreted and animated by the most incredibly talented creatives from around the world. Animated Review favourites Andy Baker reinterprets Diego Maradona's 'hand of god', Tom Judd (of Animade) takes on Micheal Owen's 'Wonder Goal', Paul Layzell animalises Finidi George's 'Dog Celebration' and Christopher Wright does the 'Blanco Bounce'! Check out the whole set over on the dedicated Fives microsite. 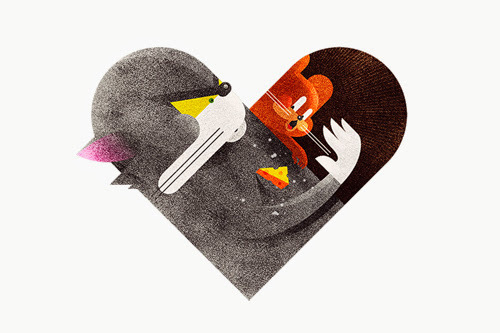 Melike Koçak aka Golden Sweet aka Pop Queen is an incredible artist from Istanbul, now based in Boston, Massachusetts. For her MassArt senior thesis short, Melike hand-painted a series of praxinoscopes discs, each featuring slightly bizarre but hugely endearing animated loops! 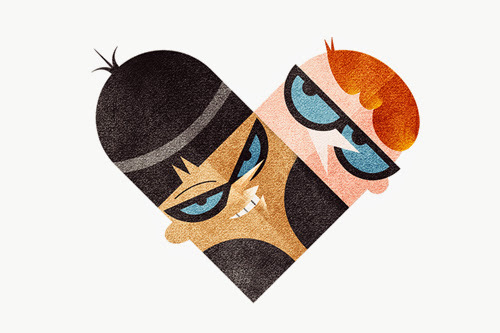 Animation trio Job, Joris & Marieke have recently made a series of music videos for Dutch artist Rico & A.R.T. The trilogy of videos all feature the same strange beanpole character and accompany tracks taken from Rico & A.R.T's new album, titled 'Irie'. Grammy Award-winning electronic outfit Disclosure has now released the music video for 'The Mechanism,' a collaborative track with Friend Within. 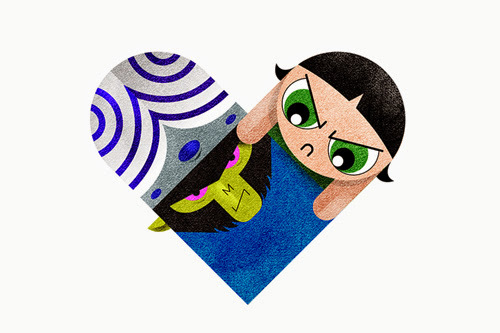 The apt interpretation presents an animated video which depicts the imaginary factory line process of creating Disclosure’s trademark face symbol. 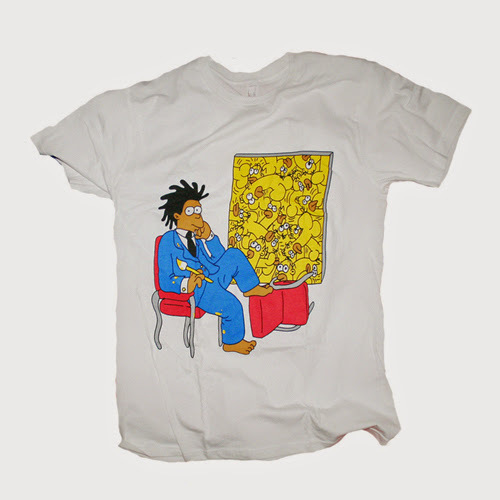 Check out these awesome bootleg Simpsons T-shirts illustrated by Kristofferson San Pablo, author of the incredible 'Homerotica' 'zine. 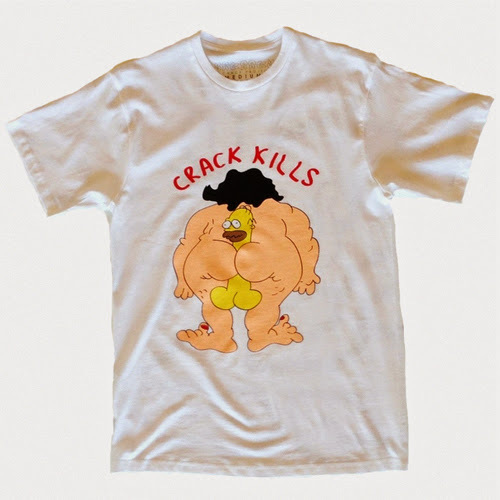 All three designs, 'Bartsquiat', 'Sideshow Rob' and 'Homerotica Crack Kills', are available now via the Vacancy Projects online store. CalArts student Julian Petschek animated this spectacular culinary hip hop music video for a fictional group fronted by comestible characters Nana Splits, ButterKrust and Sweet Cream. Taking inspiration from hip-hop personalities Lil’ Wayne and Drake, Petschek concocted this edible supergroup, penned the track 'Butter Ya'Self, and animated an epic music video featuring an incredible amalgamtion of stop motion and live action. Animator Daniela Scherer describes her new music video for Tom Rosenthal's track 'As Luck Would Have It' as a "semi-abstract, kinda feminist, animated western." The video is sublimely simple and effective in in approach, following a young pregnant woman as she becomes a mother, interspersed with images of cowboys laid across train tracks, cacti strewn transitions and a soothsaying magic 8-ball! 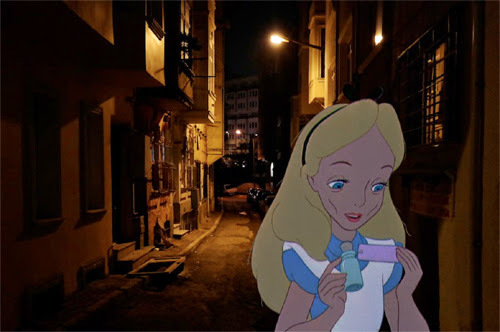 Animation storyboard artist Jeff Hong re-imagines those "happily ever after" fairy tale endings to Disney classics, exploring a darker fate of many beloved heroes and heroines if they faced the conditions of the real world. 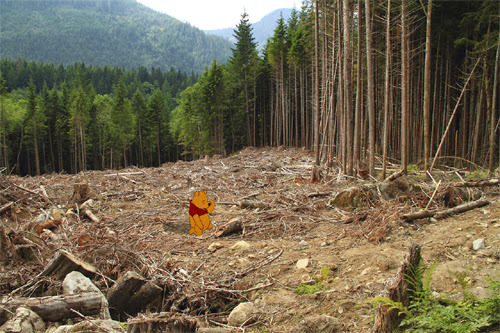 Hong, who started his career working on classic Disney titles like Hercules, Mulan, and Tarzan to name a few, juxtaposes the fantasy world in which the characters exist, with real life issues such as pollution, deforestation, drugs abuse, racism, and other political, economic, social and environmental problems that plague the world today. 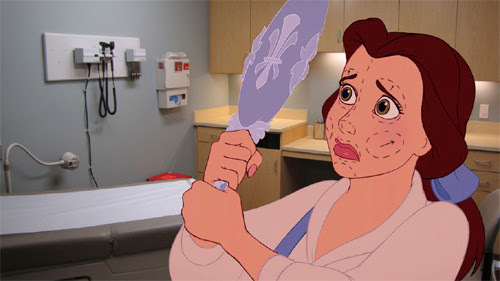 The 'Disney Unhappily Ever After' series sees Ariel crawling ashore caked in effluence from an oil-contaminated sea, Winnie The Pooh losing a few acres of the '100 acre woods' to deforestation and Belle resorting to cosmetic surgery! 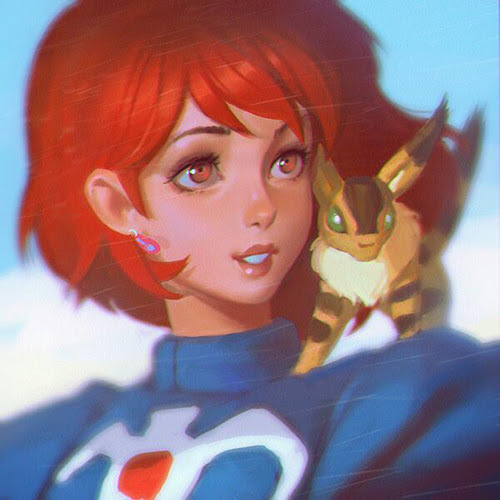 Check out Hong’s Tumblr for updates on the series.